Transit hubs are integral to the progression of modern life. They connect people across cities and countries, and provide key routes for commercial interchange. A number of the projects that we have been working on this year exemplify this important role. 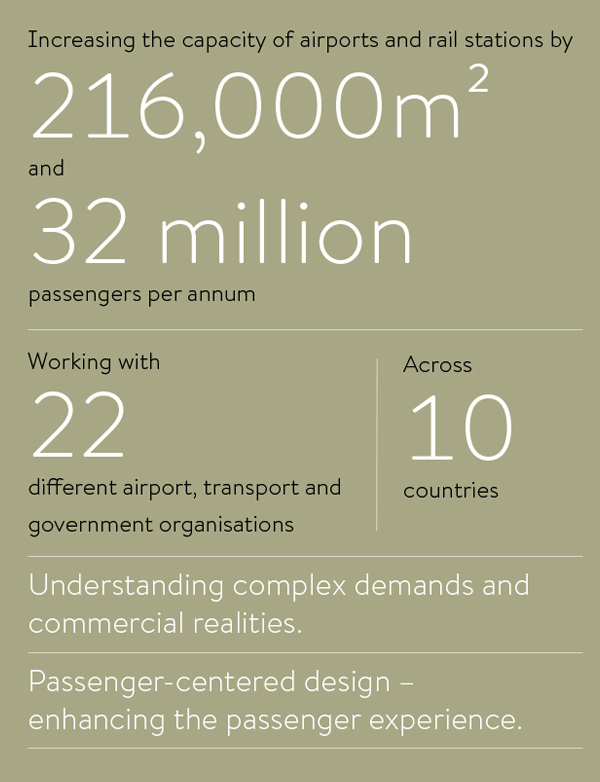 In the UK, we are entering an exciting new phase in our 25 year relationship with Heathrow, working within a select design team to deliver an expansion plan that will establish the airport as the best connected, most efficient and most sustainable in the world. In Saudi Arabia, our engineers are realising two of three iconic stations that will define the new Riyadh Metro. Encompassing six rail lines, spanning 109 miles of track and running through 85 stations to connect the 6 million residents of Riyadh, this project will be the biggest mass transit system ever created from scratch. In Singapore, The Jewel at Changi Airport will see us add a new dimension to the realm of aviation. Reaching beyond the confines of the traditional airport retail model, The Jewel is set to become a compelling lifestyle destination – attracting 85 million international visitors each year, and cementing Singapore’s reputation as a leading international air hub. Across our practice, we are looking to new technology to deliver projects with the resilience and adaptability to cope with the complex challenges of our ever-changing world. 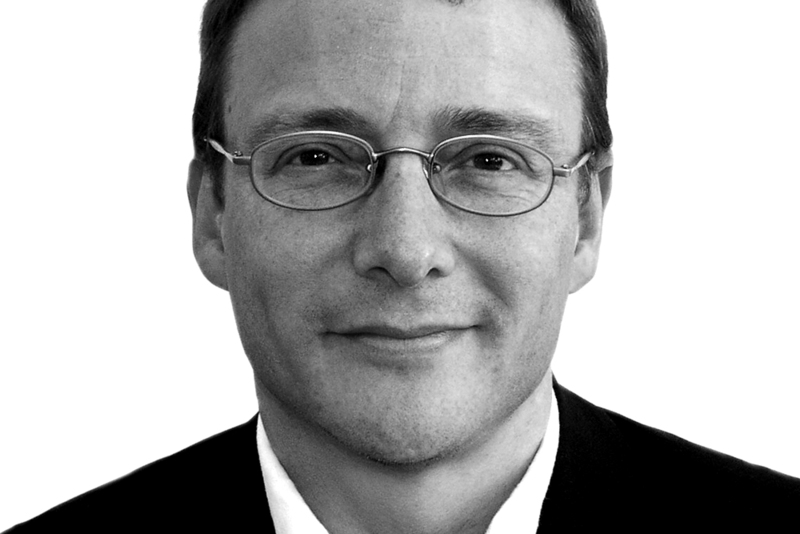 Within the transit hubs sector, we are increasingly using big data to generate multidimensional virtual models that allow us to explore the intended and unintended consequences of our designs, so that we can deliver evidence-based engineering solutions that add real value to our clients, realise a more intuitive passenger experience, and secure a sustainable future for our planet. Our relationship with Heathrow Airport has spanned 25 years, and seen us complete over 300 projects – ranging from the complete redevelopment of Terminals 3 and 4, to the realisation of a new transport interchange and satellite pier at Terminal 2. We have been selected to continue our journey with the UK’s busiest airport, working as part of an integrated team to design and deliver an ambitious expansion programme that aims to establish Heathrow as the best connected, most efficient and most sustainable airport in the world. The Jewel at Changi Airport elevates the passenger experience by reaching beyond the realm of aviation to unite Singapore’s international airport with city life beyond. Beneath its glittering glass dome, bespoke aviation facilities combine with luxury retail outlets and unique attractions – such as the world’s tallest indoor waterfall – to create a compelling lifestyle destination for travellers and residents alike. In doing so, The Jewel will boost Singapore’s reputation as a leading international air hub, draw new revenue in from the city itself, and give Changi Airport the edge amid intensifying competition in the global aviation sector. 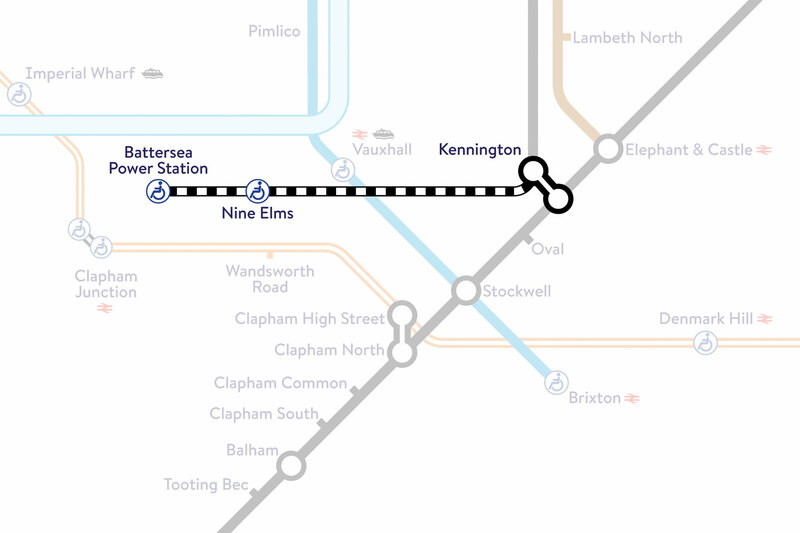 Stretching from Kennington to Battersea, the ￡1 billion Northern Line Extension will provide a fast, high capacity transport link across the southwest of London. This project underpins the wider regeneration of the Vauxhall, Nine Elms and Battersea area, which will create 16,000 new homes and 25,000 new jobs. Two new stations at Nine Elms and Battersea Power Station will be built to serve these businesses and communities. BuroHappold is working concurrently on the Battersea Power Station redevelopment, and liaising with team members across each project to coordinate schedules and ensure the NLE station is operational prior to occupation of the Power Station, in line with planning requirements. This £1 billion transformation project will see Terminal 2 more than double in size. BuroHappold is the civil, structural and facade engineer for the main terminal building, pier, baggage hall, car parks and site wide infrastructure. We are currently developing concepts for prefabricated and pre-assembled structures to reduce build time and cost, as well as a terminal facade that can withstand bomb blast. Due for staged completion from 2020-2023, this ambitious development will allow Manchester Airport to accommodate 10 million additional passengers in the next decade, and double airport jobs to 40,000 within 30 years. Riyadh via six metro lines, running through 85 stations, and spanning nearly 110 miles of track. BuroHappold is delivering two of the three stations across the line that feature iconic architecture and design. The King Abdullah Financial District station forms one of 8 stations and 1 transit hub on the Yellow line.